Burglars posing as officials managed to gain entry into an elderly man’s Castleford house and steal cash. Residents are now being urged to be vigilant in the Wakefield district after the offence. 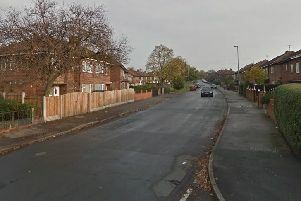 The incident took place at about 5.20pm on Thursday at an address in Queens Park Drive, Airedale. A man dressed in black approached the victim’s house, knocked and told him he was checking drains and needed to see his sink. The 75-year-old man let the suspect into his kitchen and then went outside with him. While they were outside a second man entered through the front door and began to search in the house. On re-entering the house he saw the second suspect and confronted both men. They both fled and ran away with a quantity of cash. The first suspect who spoke with the victim was described as white, 5ft 8ins tall, in his 20’s and clean shaven. He was wearing a black woollen hat, black clothing and rubber gloves. The second man was also white, 6ft tall, around 30-years old and stocky with black curly hair, wearing black clothes. Detective Inspector Tim Hunt of Wakefield CID, said: “We are investigating this incident and would like to speak to anyone who may have seen these two men fleeing from Queens Park Drive or who may have been approached by men fitting their description asking to check their drains. Information can also be given anonymously to the independent Crimestoppers charity on 0800 555 1111.